Matt Hammitt is an American singer, songwriter, speaker and author. For almost twenty years, Matt was the lead singer for the band Sanctus Real. During that time, the band released eight studio albums with Sparrow Records, toured internationally and released 14 top five and number one singles to Christian radio, earning them a household name amongst Christian music fans worldwide. Matt has been the recipient of three Dove Awards, has been nominated for two Grammys for his work with Sanctus Real, and has received multiple awards from SESAC and ASCAP for radio chart performance. Matt has also co-written songs for other artists, including For King & Country, Francesca Battistelli, Jamie Grace, Newsong, Hawk Nelson, Moriah Peters, Jason Gray, Citizen Way and Love and the Outcome. Matt and his wife, Sarah, have recently launched “Lead Me Live” organizing two-day conference and concert events with a focus on men, marriage, and family. Matt is also the host and producer of the audio program, “The Lead Me Lifecast,” which is available for free on iTunes. Matt has a passion for family life. He married his wife, Sarah, in the summer of 2001. 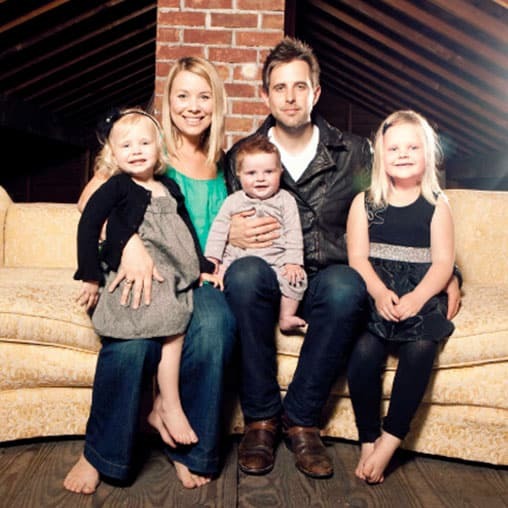 They enjoyed many adventures together, traveling with Sanctus Real for the first five years of their marriage, until Sarah left the road to become a stay at home mom in 2006. Matt and Sarah have four children, Emmy, Claire, Bowen and Lewis. 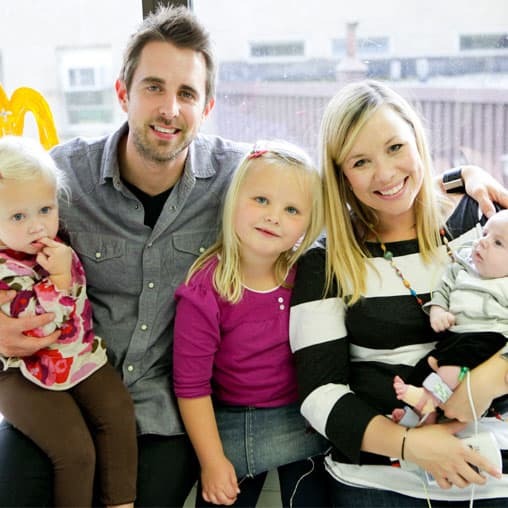 In 2010, Bowen was diagnosed with a life-threatening heart defect at nineteen weeks in utero. His future was uncertain. Leading up to Bowen’s birth, Matt wrote his first solo album, Every Falling Tear. The album was released in September of 2011, carrying the theme of trusting God in the darkest seasons of life. Matt also released a children’s book with co-author, Jason Ingram, based on a song from the album, titled “I Couldn’t Love You More” (Tyndale House Publishers). Matt Hammitt’s career was taking off as lead singer for the band Sanctus Real. But after multiple awards and accolades, he had to make a decision. Do I lead a band? Or do I lead my family? Christian recording artist Matt Hammitt, the lead singer of Sanctus Real, talksabout the moment his wife told him what she honestly needed from him.